Inner Child Experiential Psychotherapy, also known as Inner Child Work, builds upon the work of renowned therapists such as John Bradshaw, Virginia Satir, Hal Stone, Milton Erickson, Alice Miller and many others whose efforts focus on the unmet needs of childhood, and how fulfilling those needs can lead to a complete, more confident and self actualized individual. The presupposition of Inner Child Work is that early childhood development is greatly impacted by the family system. So many of us grew up in homes and families that were toxic and severely dysfunctional. The shame and chronicity of abuse, neglect and abandonment perpetuated in these families, gave rise to addictive, compulsive behaviors and personality disorders. 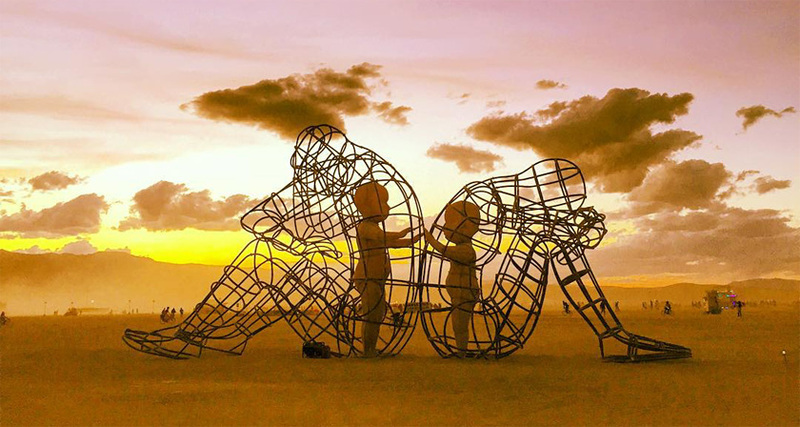 Inner Child Work helps to heal and reconnect to our authentic selves and teaches us healthy ways to re-parent our wounded inner child and provides tools and resources to install autonomy and corrective experiences. Many of the survival needs learned in dysfunctional families no longer work and limit our personal growth and development. Once used to adapt in order to survive, these adaptive behaviors limit our ability to reach our potential. Therefore, it is essential to heal those wounded parts of our personality, discover and embrace all our parts, including our SHADOW OR DARK SIDE to enrich our life and become the champion to our Inner Child. Once achieved, the Child can feel safe to become its original authentic self and shed the persona needed for survival. The emotional and mental impairment that arises from denying our true self, controlling our environment and living in a state of hyper-vigilance, gave rise to many maladaptive behaviors and states such as anxiety, depression and compulsive behaviors including all addiction. Inner Child Work facilitates the healing of the WOUNDED CHILD fostering change and personal growth and allows the true self to emerge, free from psychopathology. Parts Work builds upon the work of renowned therapists such as John Bradshaw, Virginia Satir, Hal Stone, Milton Erickson, Alice Miller and many others whose efforts focus on the unmet needs of childhood and how fulfilling those needs can lead to a complete, more confident and self actualized individual. It attempts to take Inner Child Work to the next level. The presupposition is that early childhood development is greatly impacted by the family system. So many of us grew up in homes and families that were toxic and severely dysfunctional. The shame and chronicity of abuse, neglect and abandonment perpetuated in these families, gave rise to addictive, compulsive behaviors and personality disorders. BEYOND THE INNER CHILD WORK: PARTS WORK, helps reconnect to our authentic selves, teaches us healthy ways to re-parent our wounded child and provides tools and resources to install autonomy and corrective experiences by identifying and integrating the different parts of our personality. It is a known fact that we are NOT monolithic, but instead made up of multiple parts each having its own belief and value system, positive intention, state and behavior. This is why we can be in inner conflict, when one part has a different agenda than another. Learning to know our parts, recognize their purpose and positive intention, helps us make better choices and more responsible decisions. It allows us to call upon that part of our self that has the ability to take action when needed, not unlike a specific player in a football team that has his own intention and behavior. Knowing our parts, enlightens our ability to take positive action and allows for optimum outcomes. We know that everyone has a Jekyl and Hyde, sometimes known as our shadow or dark side. In addition, there are other parts of our personality that can easily take off autonomously when triggered. Often that can produce disastrous results. If we have a relationship with our self, we can choose which part can most effectively work in our behalf. This takes conscious raising and awareness. Parts Work facilitates this process. Inner Child Work cuts through years of “talk therapy” as it establishes a connection with a part of us that has been lost through the years of creating and maintaining a “false self”. The “false self” or “survival self” helps the inner child feel accepted and creates a false sense of security, so it is reinforced throughout the years. Eventually as we mature, it no longer serves its original purpose and fails us because we lose our authentic self in the process of growing up. What worked for us as a child, no longer works in adulthood. The most effective way to contact the Inner Child is through the modality of NLP hypnosis. The belief is that although there may not be an adult in every child; there is a child in every adult. Inner Child Work is about our adult doing the work that was denied to us as children, and not needing anyone outside ourselves to heal our childhood wounds. As we discover the part of us who is capable, competent and nurturing, we can give the inner child was needed and denied. Inner Child Work is an essential ingredient in healing and transformation.